A THIEVING former care worker who ‘preyed’ on a multiple sclerosis sufferer and an elderly stroke victim was yesterday spared a prison sentence — despite a string of ‘gross breaches of trust’ against her vulnerable victims. Shamed Cherylanne Rodriguez callously swiped a £600 gold and diamond ring, then sold it to a Greenock pawn shop — pocketing just £40 from the fraudulent transaction. In a separate scam, she stole a frail and heavily dependant 79-year-old woman’s debit card and used it to plunder her bank account by purchasing goods for herself, the town’s sheriff court was told. But, for the sake of her two children, Rodriguez — who was sacked by Greenock-based Cottage Care Services when her crimes came to light — won’t be locked up. Rodriguez abused her position as a trusted care worker in order to fleece her victims in their own homes — in Gourock and Inverkip — during a five day period in September 7 and 12 last year. The court heard that she stole the ring from a former nurse who had been forced to give up her career through ill health after being diagnosed with multiple sclerosis. Procurator fiscal depute David Glancy said that the woman had left the item on a shelf in the wet room of the specially adapted Inverkip home she shares with her husband, and then the thief went in behind her and took it. Mr Glancy said: “When the couple were getting ready to go on holiday, the lady observed that the item of jewellery was no longer where she’d put it. “On their return they went through clothing and also their bins as they tried to locate the ring. Rodriguez, of Belville Avenue, Greenock, took the gold trilogy diamond ring to a pawnbroker’s shop in the Oak Mall on the afternoon of September 16 and sold it for the paltry sum of cash. Prosecutor Mr Glancy said: “Police, who commendably had the bit between their teeth regarding this inquiry, visited the pawnbroker’s and various checks were carried out. 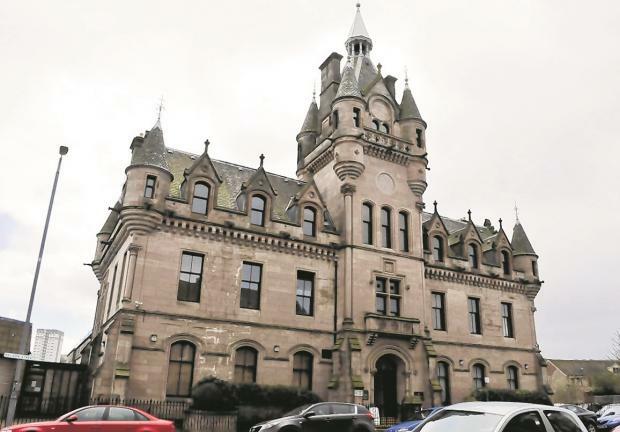 On the debit card offence, the fiscal depute said: “The complainer is 79-year-old client of the care company who lives with her husband in Gourock. “The woman suffered a stroke and has limited mobility, which has resulted in her being visited by carers four times per day. “The household received a statement from the bank and a number of transactions made no sense to her husband. “He reflected on who would have had access to the bank card and contacted the accused’s employers to alert them. Rodriguez — who refused to plead guilty to the charges when she first appeared in court on the matter — had used the debit card to buy £37 worth of items from the Morrisons supermarket petrol station in Greenock. Her lawyer told the court that she had been ‘experiencing personal and financial difficulties’ at the time of the offences, which ultimately netted her a total of just £77. The court heard how Rodriguez — who is now unemployed and on benefits — is currently going through an ‘acrimonious divorce’ from the father of her children. Thief Rodriguez, her face reddening, sat weeping quietly in the dock and wiping away her tears as Sheriff Hamilton told her: “I’m informed that you have shown remorse but I don’t necessarily agree with that. The sheriff said he had to balance the public’s abhorrence at Rodriguez’s crimes with the long term interests of her children. He ordered her, ‘with some hesitation’, to carry out 300 hours of unpaid work within 12 months.